Seeing this tree decorated outside a Melbourne home gave me the idea that I don't have to actually chop down the shrub outside my apartment. I'll just decorate it and have a magnificent view through my living room window. 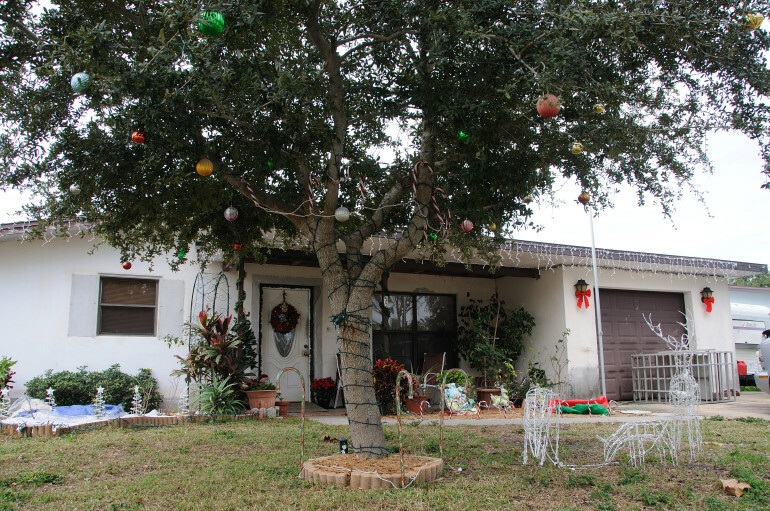 Parts of Melbourne's Eau Gallie neighborhood tend to look slightly old and rundown. Some areas look downright blighted. Nevertheless, residents still find their own ways to celebrate the season. 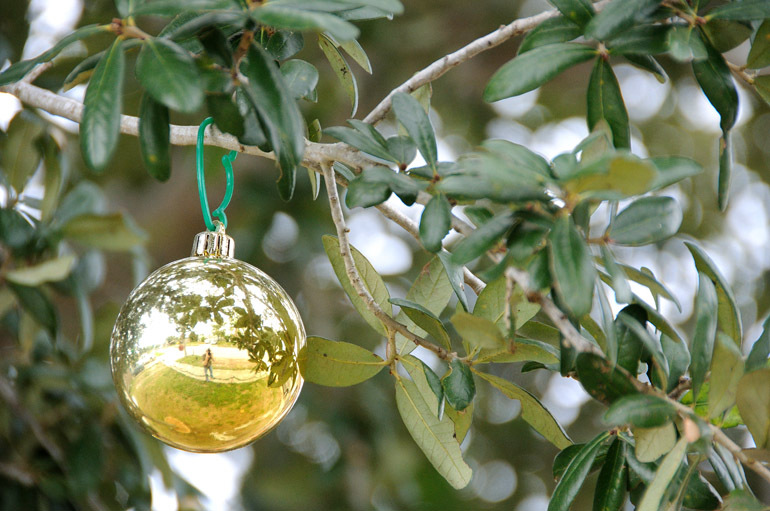 In the western section of the district, I stumbled upon a tree in the front yard of a house that was decorated with lights and ornaments. So, today's edition is a close-up of an ornament, complete with the reflection of yours truly on the sidewalk. I'm including this just for context.